Reese Witherspoon is an Aries who appears to have all the positives of her sign and none of the negatives. Born March 22, 1976 in New Orleans, she's got the sass, the sparkle and the self-motivation of her Mars-ruled Sun sign without a hint of selfishness or insensitivity. Individuality is a key trait of Aries, providing those born under this sign with an independent streak that sets them off from the crowd. Reese has definitely set herself apart in an overcrowded industry loaded with blonde beauties that come from all over the world. This first sign of the zodiac often sprints out of the starting gate at an early age, and Reese is no exception. She began modeling at seven years old, won a talent contest with competitors from ten states at 11, and had her first meaningful film role at the ripe old age of 14. Such rapid and continuing success in show business can easily bloat one's ego, but Reese -- a wife and mother as well as an Oscar winner -- seems no more impressed with herself than the woman next door. 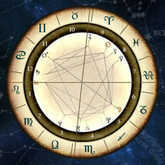 Reese's exceptional drive is shown by a tense right-angle square between motivating Mars and the Sun in her chart. Normally, this would add brashness and aggression to a personality, but Reese's Mars is in caring Cancer, which tempers her power with sensitivity. Reese probably won't back down from a fight, but she's also not likely to go starting one. An ability to adapt and adjust is essential for actresses who must play a variety of roles. Reese is well-equipped for this with two key planets in Pisces, a highly flexible Water sign able to tune into an endless diversity of feelings and moods. 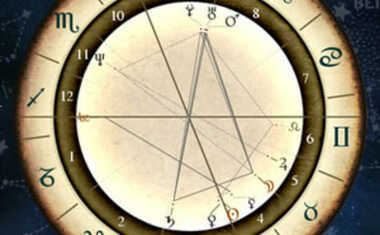 Mercury -- the planet of intellect -- is in Pisces, adding imagination and the ability to mimic. The excellent singing voice she showed off as June Carter Cash in Walk the Line reflects the lyrical nature of the sign of the Fish. But instead of getting lost in a boundless ocean of ideas associated with Pisces, Reese was born with steady Saturn in a stabilizing trine -- a 120-degree angle -- to her Mercury, sharpening her mind and enabling her to blend reality and fantasy in a totally believable package. Her Venus -- the planet of art, romance, and beauty -- is also in Pisces, adding a sympathetic nature that balances her Aries drive. Traditional astrologers called Venus "exalted" in Pisces because of its capacity to experience the most divine aspects of love. This position can sometimes be passive in its need to please others, but Reese's Venus is electrified by two trines: one from inventive Uranus and another from her tough-but-tender Mars in Cancer. In fact, these three planets form a dynamic pattern called a Grand Trine, which allows them to work harmoniously together. 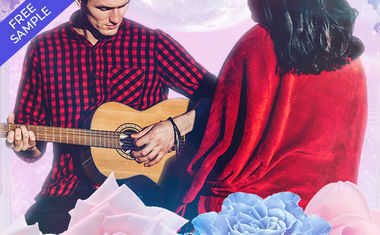 Venus and Mars are significant for creative people because they represent the relationship between the principles of attraction or taste (Venus) and action (Mars). Favorable connections between them usually make for pleasing performers. Unconventional Uranus' contribution can produce artistic genius and unique personal expression that leaves a lasting mark. With this winning combo, Reese Witherspoon will continue to surprise and entertain audiences -- and maybe even snag herself another Oscar statue or two -- for years to come.